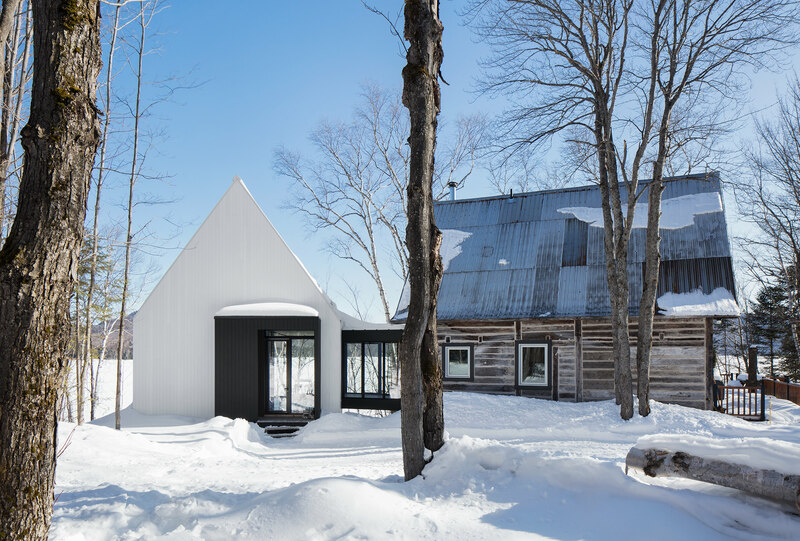 A weekend cottage on Lake Ouareau outside Saint-Donat, Quebec (roughly a two-hour drive northwest of Montreal), might be understood as a small monument to a big idea: coming together to make a fresh start. Consisting of two buildings connected by a glass-walled bridge, La Petite Soeur is, nonetheless, all about togetherness. It bridges two families, the past and the present, as well as communal life and individual privacy. 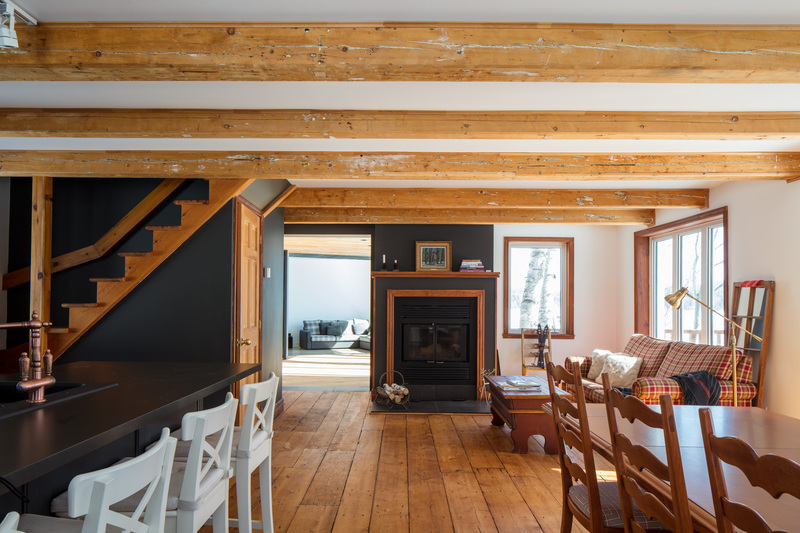 For a newlywed couple who brought a total of five children into the marriage, architecture firm ACDF lightly renovated and added an extension to a traditional rural house, having completed the project earlier this year. The exterior of the existing building was kept largely as is, with only minor interventions done to repair items like old gutters. “But even what we did do, you can’t see,” says architect and ACDF co-founder Maxime-Alexis Frappier. 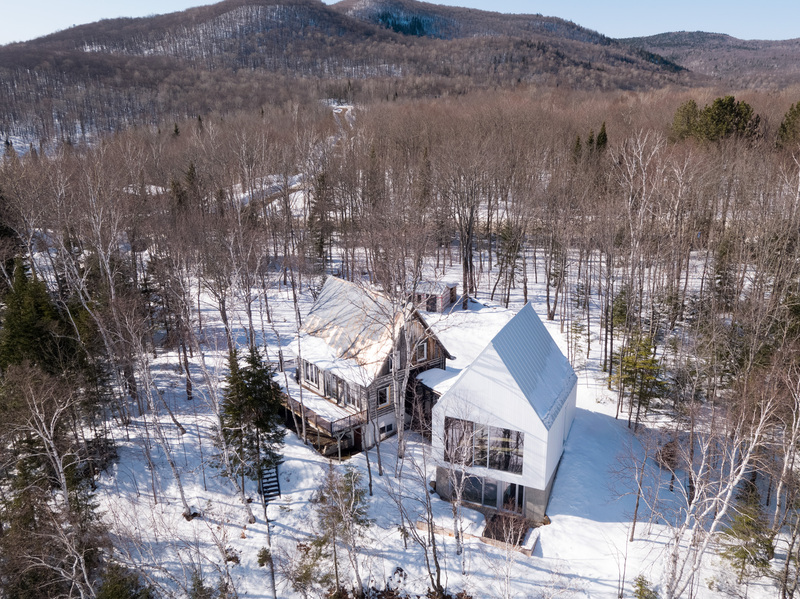 “When you see the rusted steel roof planks, the patina of the wood, you feel as if the house [has been connected] to this site forever. 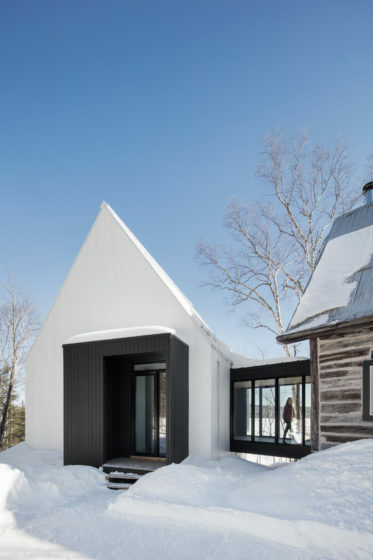 Indeed, as it steps down a steep slope next to the lake, the extension looks like the Platonic form of a gabled home; Frappier refers to it as “almost a Monopoly house.” The minimal wood-plank façade, sandwiched between a sheet metal roof and an exposed concrete base, is whitewashed matte to recall the chaux (limewash) finish that is added to paint to protect Quebecois barns from peckish insects. 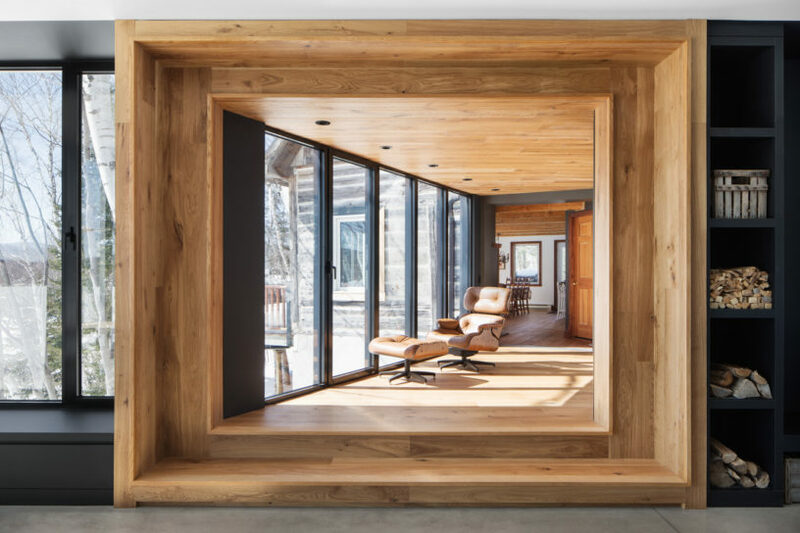 The extension simultaneously opposes its sibling, with a refinement that strips away textures, colour, weathering, and age, and twins it in mass and volume in a way that broadcasts respect for the original structure while feeling wholly contemporary. 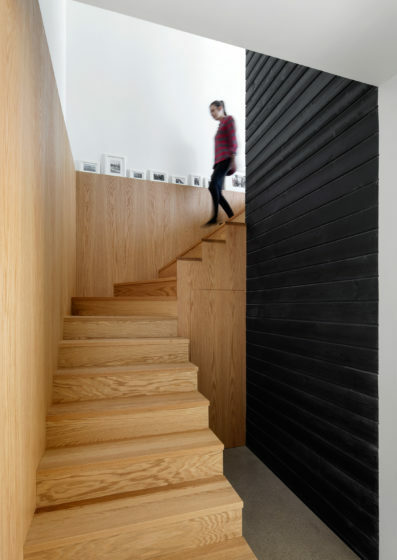 Both interiors match their high-contrast façades: the existing house retains its amber-stained wood plank flooring, while the extension has floors of polished concrete and clean-lined, jet black wood-slat walls and ceilings. Down a wooden staircase, the new master bedroom, bath, and an outdoor Jacuzzi nest in the hillside, getting as much light as the floor above due to the slope of the site.